Cloud Computing has created a disruptive transition in IT in recent time. CIOs worldwide are going through a turmoil where Cloud Computing is no longer an option and has become an accepted standard of doing things. Enormous scalability of future applications designed to process huge amounts of data is one of the trends of how Cloud Computing will change IT. Special purpose devices will interact online with trillions of devices connected to the Internet leveraging the Cloud. The cost of IT components including operating system, middleware and application software will decline rapidly making Cloud Computing much cheaper. WOLF being one the leading cloud backend software platform-as-a-service vendors, this is one of our very own value proposition and we understand this very well. The biggest challenge IT organizations will find in the post cloud world is legacy systems, thereby reducing their expenses on managing such systems. The post-cloud IT organization will rely heavily on PaaS, using an internal or external organization to manage the underlying functionality and infrastructure and the shift of IT investments will move towards applications. 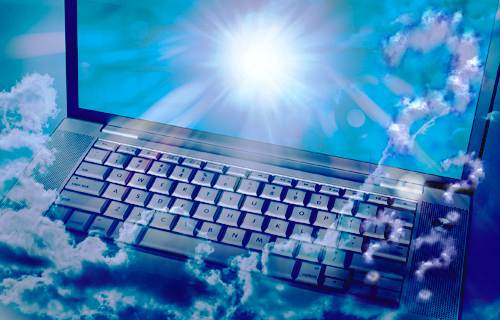 Read more to find out how Cloud Computing will change the face of IT in the near future. Following the future predictions of Cloud Computing there are also certain myths related to it. Myth 4: I can get all the benefits of the cloud with my own private cloud. Can the cloud help us make quick cost savings? Can the cloud help us to reduce CapEx? What about our data – is that safe in the cloud? Is it a problem that we have no training? Cloud Computing helps governments to have multi-channel interactions with citizens through the web, chat, social networks, etc. without the burden of costly hardware and man-hours. Federal agencies can improve their services by allowing online inquiries thereby focusing more on critical issues. Cloud makes the service more reliable as citizens get access to real-time information at any point of time. Phil Wainewright, one of the biggest thought leaders in Cloud Computing has suggested organizations and enterprises to put up Cloud Governance strategy in place. Developing a strategy will force someone to think on issues of transferring the access polices from the existing enterprise infrastructure to the Cloud applications. I personally feel this is really essential and will trigger the cloud culture and thinking process within large enterprises.